Jennifer Balint is Associate Professor in Socio-Legal Studies and is currently Head of Discipline, Criminology. 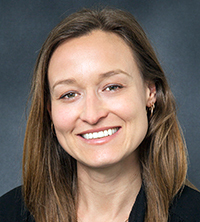 Her research expertise is in the area of state crime, genocide and access to justice, with a focus on the constitutive function of law in societies and transitional justice. Her monograph, Genocide, State Crime and the Law. In the Name of the State, is a legal and socio-political analysis of the capacity of law to address genocide and other forms of state crime, law's relationship to reconciliation, and the role of law in the perpetration of these crimes. She co-established the Minutes of Evidence project, a collaboration between Indigenous and non-Indigenous researchers, education experts, performance artists, community members, government and community organisations that aims to spark public conversations about structural justice and how understanding the relationship between the colonial past and the present can bring about just futures. For more information please see the Minutes of Evidence project website. Dr Ashley Barnwell is the Ashworth Lecturer in Sociology in the School of Social and Political Sciences. 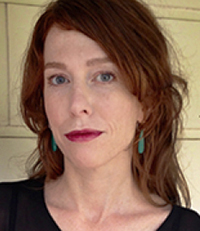 Her work focuses on sociological aspects of emotion, memory, and narrative, and is anchored in the sociology of the family. In addition to more traditional qualitative approaches, she is interested in the role of life writing, literature, personal archives, and oral history in sociological research. Ashley is working on two current projects. The first is a study of how contemporary Australian novelists, such as Kate Grenville and Kim Scott, are using their own family histories to deal with social questions of intergenerational trauma and historical responsibility. This will be published as a book, Reckoning with the Past: Family Historiographies in Postcolonial Australian Literature (with Joe Cummins, Routledge 2019). Her other project, 'Family Secrets, National Silences', is a qualitative study of intergenerational family secrets in settler colonial Australia. Dr Kat Ellinghaus is a Hansen Lecturer in History in the School of Philosophical and Historical Studies. She is the author of Taking Assimilation to Heart: Marriages of White Women and Indigenous Men in the United States and Australia, 1887-1937 (University of Nebraska Press, 2006) and Blood Will Tell: Native Americans and Assimilation Policy (University of Nebraska Press, 2017). In 2014 she was awarded an Australian Research Council Discovery Project grant to write a history of Aboriginal exemption policies in Australia. Kat writes and researches in the areas of settler colonial history, transnational and comparative history, assimilation policies and the social and cultural history of the United States and Australia. Julie Evans is an affiliate of the Indigenous Settlers Research Collaboration. Her work explores the significance of western law's relation to Indigenous and non-Indigenous peoples from the late 15th century to the present with a view to fostering more lawful ways forward. 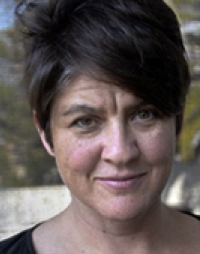 She was Lead Chief Investigator (CI) on the 'Minutes of Evidence project: Promoting new and collaborative ways of understanding Australia's past and engaging with structural justice' and is currently joint CI of 'Indigenous leaders: lawful relations from encounter to treaty' (Lead CI Mark McMillan, RMIT). 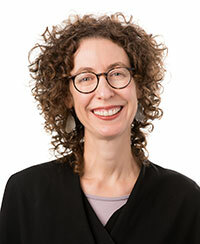 Her books include Sovereignty: Frontiers of Possibility (2013, co-editors Ann Genovese, Alexander Reilly, Patrick Wolfe) and Edward, Eyre, Race, and Colonial Governance (2005). Keeping Hold of Justice: Encounters Between Law and Colonialism is under review with University of Michigan Press (co-authors Jennifer Balint, Mark McMillan, Nesam McMillan). Professor Kirsty Gover's research addresses the law, policy, and political theory of Indigenous rights and law. She is interested in the transformative promise of Indigenous legal theory, and in its importance in settler-state political theory and international law. Professor Gover is the author of Tribal Constitutionalism: States, Tribes and the Governance of Membership (Oxford University Press, 2011) and is working on a book entitled When Tribalism Meets Liberalism: Political Theory and International Law (Oxford University Press), examining the ways in which Indigenous self-governance influences the development of international law. Professor Gover is the Director of Melbourne Law School's Indigenous Peoples in International and Comparative Law Research Program and Chair of the Melbourne Law School's Reconciliation and Recognition Committee. Chris Healy teaches Cultural Studies at The University of Melbourne. He has worked at the University of Technology, Sydney, and held visiting fellowships at the Humanities Research Centre, ANU, the Centre for Cultural Studies, University of California, Santa Cruz and was a long-time External Academic Advisor in the Department of Cultural Studies, Lingnan University, Hong Kong. His research work on social memory has considered relationships between indigenous history and settler-colonialism in Australia, and some of the predicaments of postcolonial culture more generally. His first efforts in this field appeared in the UK-based journal, Oral History (1991) with latter essays in Postcolonial Studies (1999), Oxford Companion to Aboriginal Art and Culture (2000), Body Trade: captivity, cannibalism and colonialism in the Pacific (2001), Culture in Australia: policies, publics and programs (2001), ACH: The Journal of the History of Culture in Australia (2007). That period of work culminated in his 2008 monograph, Forgetting Aborigines, UNSW Press. Julia Hurst has a Bachelor of Arts majoring in Indigenous and Development Studies and a Masters of Urban Planning. She has worked as a social and cultural planner and social researcher. Her interests lie in storytelling, social justice and the arts, and she has successfully merged these projects over the years on main stage and community theatre, arts and cultural projects in Melbourne, Geelong and Western Sydney. She was a member of the ARC Linkage Project (USyd and ANU) Deepening Histories of Place: Exploring Indigenous Landscapes of National and International Significance and during this project she directed and authored an enhanced e-book entitled At the Heart of it: Place stories across Darug and Gundungurra Lands: A downloadable history. She is now completing her PhD: 'Re-imagining identities: Aboriginal people on Darug and Gundungurra lands' at ANU. 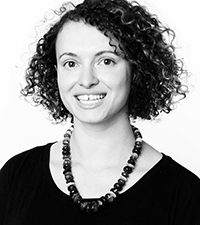 Elise Klein is a Lecturer of Development Studies, School of Social and Political Sciences, The University of Melbourne. She currently leads a research project examining Cashless Debit Card trial in the East Kimberley and works on a grant from the British Academy's International Challenges Fund on Therapeutic culture and the digital revolution. Dr Klein was a contributor to the United Nations Secretary General's High-Level Panel on Women's Economic Empowerment. Her new book is Developing Minds: Neoliberalism, Psychology and Power (Routledge, 2017). Dr Klein is co-editing two books in 2018 Postdevelopment in Practice (Routledge) and Implementing a Basic Income in Australia: Pathways Forward (Palgrave McMillan). 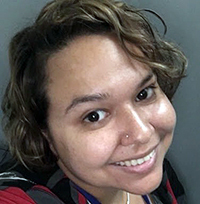 Jacynta Krakouer (BSc, MSW, MSP Melb) is a Noongar Aboriginal lecturer and researcher in the Department of Social Work at The University of Melbourne. Currently undertaking her PhD with the Department, Jacynta's teaching and research expertise centres on child and family welfare, with a particular focus on Indigenous Australians. 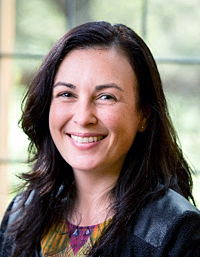 Her PhD explores Indigenous understandings of cultural connection for Indigenous Australian children in out of home care in Victoria. 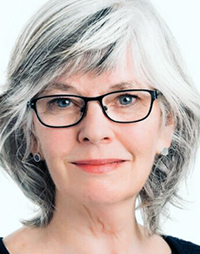 Zoë Laidlaw is a visiting professorial fellow at the School of Historical and Philosophical Studies at The University of Melbourne. Her research concerns Britain's empire and colonies in the early and mid-nineteenth century, with a particular focus on imperial networks, humanitarianism, governance, colonial knowledge, settler societies, human rights, indigenous protection and indigenous dispossession. She has worked on the colonial histories of Australia, British North America, South Africa, New Zealand, India and the Caribbean. Zoë is also interested in the connections between colonial histories and present-day attempts at conciliation between colonising and colonised populations. Adrian Little is Professor of Political Theory at the University of Melbourne. He has published six monographs including, most recently, Enduring Conflict: Challenging the Signature of Peace and Democracy (Bloomsbury, 2014) as well as many journal articles and book chapters. In 2013, along with Mark McMillan, Paul Muldoon, Juliet Rogers, Erik Doxtader and Andrew Schaap, he received an ARC Discovery Grant for the project 'Resistance, Recognition and Reconciliation in South Africa and Northern Ireland - Lessons for Australia'. 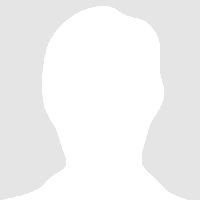 Dr Nikki Moodie is a Gomeroi (Kamilaroi/Gamilaraay) woman, born in Gunnedah NSW. She is a Senior Lecturer in Indigenous Studies in the Faculty of Arts at The University of Melbourne. Prior to her move to the Faculty of Arts, Nikki held positions as the Academic Convenor of the Hallmark Indigenous Research Initiative, Research Fellow in Indigenous Research, and Lecturer in Indigenous Education. In 2017, Nikki received the Betty Watts Indigenous Researcher Award from the Australian Association for Research in Education. She teaches in the areas of social policy and Indigenous studies, and her main research interests are indigeneity, surveillance and education, focusing on social networks, the governance of Indigenous policy and data production. 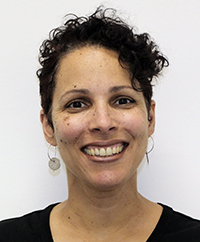 Nikki is an Associate Editor of Higher Education and Research Development, and Editor of Critical Race and Whiteness Studies. 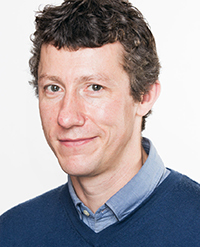 David Nolan is Senior Lecturer in Media and Communication and Deputy Director of the Centre for Advancing Journalism in the School of Culture and Communication. David's work engages with processes of change in journalism, with a particular focus on their implications for the politics of race, inclusion and belonging, as well as humanitarian relations and engagement with distant 'others'. 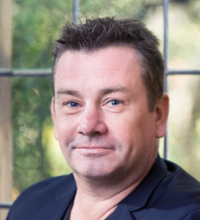 From 2011-2014 he was lead Chief Investigator (CI) on the AuSud Media Project, an ARC Linkage research project and media intervention conducted in partnership with the Australian Broadcasting Corporation (ABC) and Adult Multicultural Education Services (AMES). 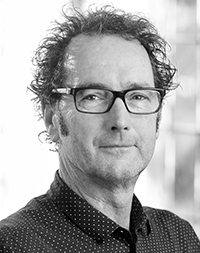 He is co-editor (with Karen Farquharson and Timothy Marjoribanks) of Australian Media and the Politics of Belonging (Anthem Press, 2018) and his work has been published in numerous leading journals, including Journal of Intercultural Studies, Journalism, Patterns of Prejudice, Media, Culture and Society and Journalism Studies. 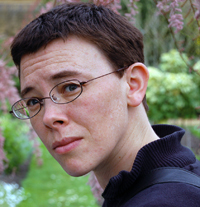 Juliet Rogers is a Senior Lecturer in Criminology in the School of Political Sciences at The University of Melbourne. From 2012-16 she was an Australian Research Council DECRA fellow examining the 'Quality of Remorse' after periods of political and military conflict in Australia, Northern Ireland and South Africa. Prior to her academic career she was a youth worker, manager and trauma therapist. She holds an ongoing Visiting Fellowship at the University of Bologna, TRaMe center for the study of trauma. She published widely in the field of law, trauma and conflict. In 2013 she published Law's Cut on the Body of Human Rights: Female Circumcision, Torture and Sacred Flesh and is finalizing a monograph on The Quality of Remorse.